Campus Virga Jesse, Salvator and Ekkelgarden in Hasselt and Campus St.-Ursula in Herk-de-Stad. 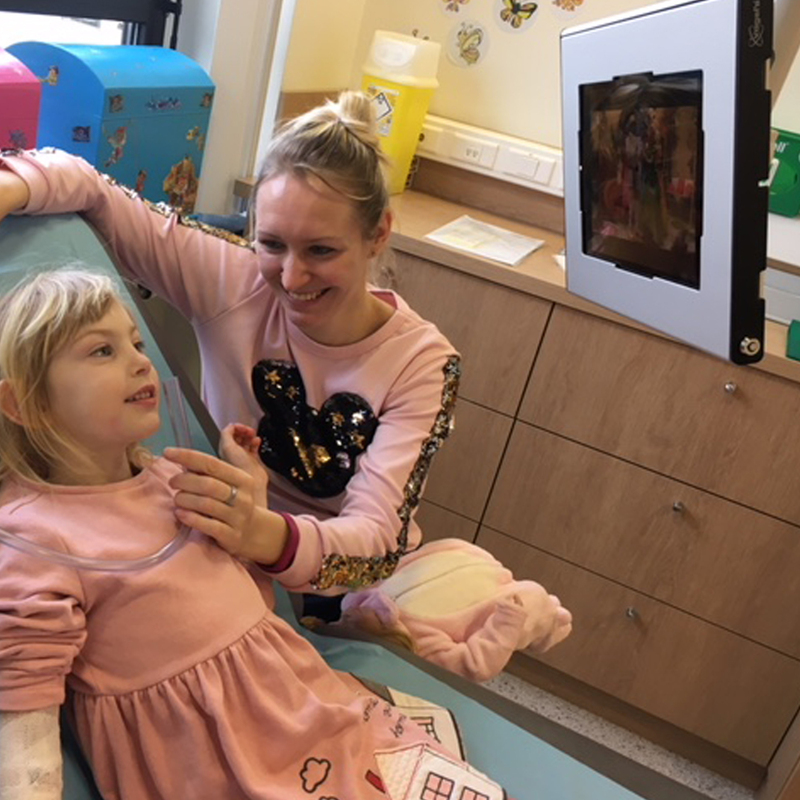 Also in the hospital, patients can now play their games with their tablet, visit YouTube channels, face-timing with their family and friends, thanks to the Vogel’s universal tablet solutions. Wether one sits up straight in bed or is required to remain lying down, with a Vogel’s solutions you are able to use your tablet. Place your tablet in a lockable tablet enclosure, combine it with an adjustable medical mount and create your optimal viewing experience. Because the mount is equipped with a gas spring, you can operate it with just one fingertip. Position your tablet in exactly the right way! Once you are leaving the room, you can easily lock your tablet enclosure and secure it from theft, convenience is key! The Vogel’s universal tablet enclosure fits perfectly in any context and is therefore a smart solutions for digital signage, interactive content, POS and many other applications. Special to this project is the combination of a Secure tablet enclosure (TabLock®) mounted on a Vogel's Medical Mount. Normally a display up to 26 inch will be mounted on a Medical mount, but in this case it was desired to mount a tablet on a Medical mount and thanks to the universal fitment of our TabLock® you are able to create this smart solution. 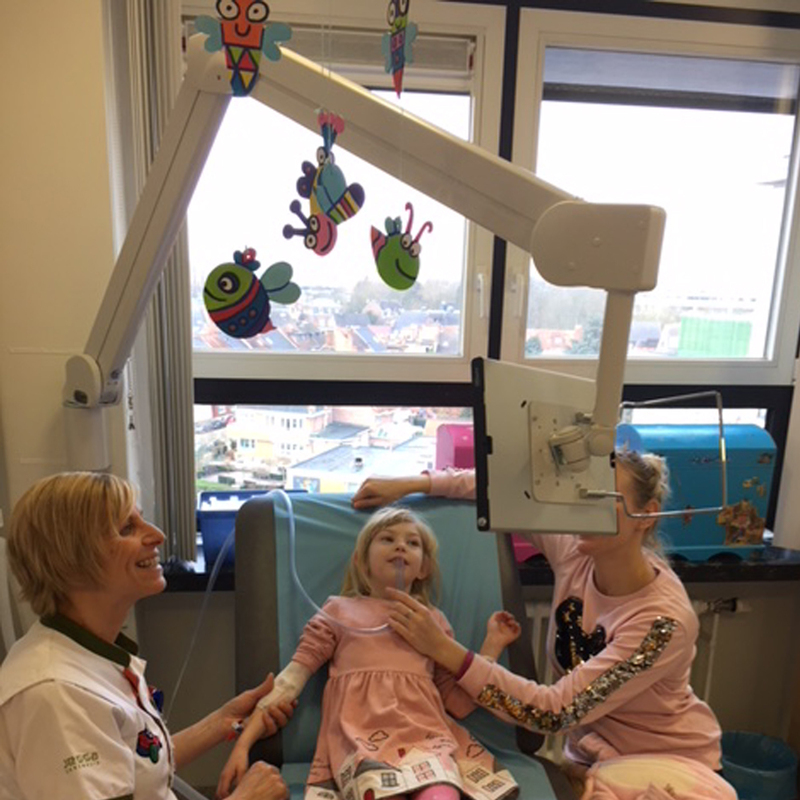 The project was realized in corporation between our Belgium importer Lucodex NV together with the Hospital team of Jessa Ziekenhuis Campus Vigra Jesse.